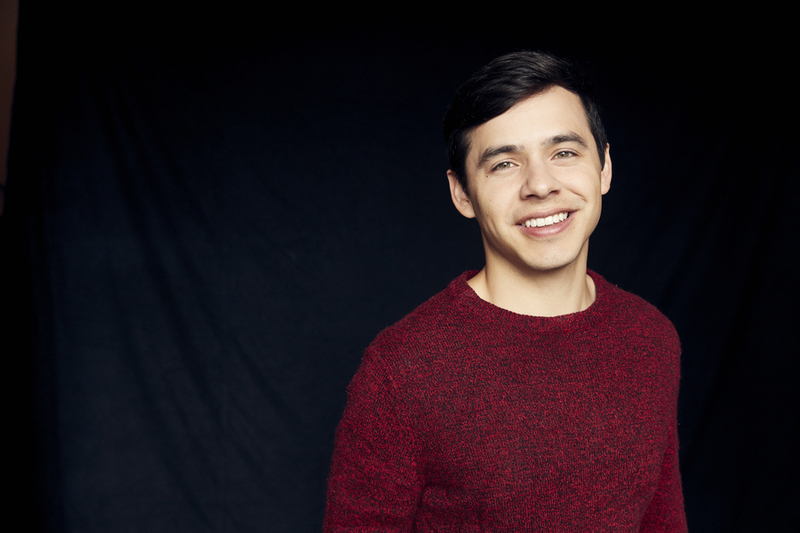 David Archuleta brings his Christmas Tour to the UCCU Center in Orem, Utah on Monday, December 10. We recently caught up with David and discussed his new Christmas album, what pressures might come from performing in Utah so often, and what are some of his favorite venues here in Utah. Enjoy! Utah Concert Review: You recently released your new Christmas album Winter in the Air and your single “Christmas Every Day” is getting a lot of airplay here in Utah, so congratulations on that. How did you decide to release a new Christmas album? 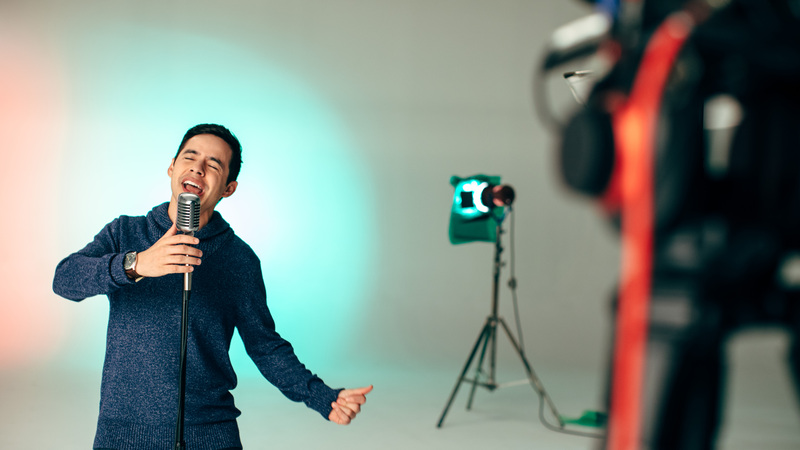 David Archuleta: From the moment I released my first Christmas Album I’ve wanted to release another one. When we were finishing up Christmas From the Heart about ten years ago and I was like, “I’m going to have to do another one.”. You can’t fit all the great Christmas songs on one album. I love Christmas, it’s my favorite. They’re my favorite tours to do, so I just knew that I had to do another Christmas album. It was just a matter of when. But then I saw that Pentatonix released three in a row so I thought, “You know I guess I can release another one almost nine years later.”. UCR: You’re right, there are so many Christmas songs, and even after recording your second Christmas album, there are still so many songs you can choose from. How do you decide what songs will make it on the album? That can’t be an easy process. DA: So I worked with mainly two arrangers in picking songs. One of them in Nashville named Cason Cooley and another one in Utah, John Hancock who I worked with on my first Christmas album. We looked at a list of Christmas songs and I just weeded them out thinking “Well this would be fun but can I come up with a cool arrangement of it, and will it work with the other songs on the album. So the songs that remained on the short list ended up on the album. UCR: Releasing a new original Christmas song can be a bold move. As I mentioned, it seems like your single “Christmas Every Day” is getting solid airplay. Were you nervous to put an original song on the album, or did you hear this song and have a good feeling about how it would be received? DA: My goal was to push myself. Usually, I don’t write happy songs. I’m usually more emotional. And I knew with this album I was going to gravitate to more serious songs like “O Come O Come Emmanuel” or “In the Bleak Midwinter”. So I thought “Ok, what can I do to have some more upbeat fun kind of songs?” Because I do like songs like “Rockin’ Around the Christmas Tree”. But even on my way to the writing session, I thought “Maybe I shouldn’t do it. I don’t think I can pull it off. I’m not a good enough writer to write a song like that.” But I made it a goal. Something I tried to do is make goals to push myself, to move forward and do things I didn’t think I could do. One of those goals was to write a happy, classic Christmas song. So we went for it. The other writers, Cason Cooley, and Dave Barnes and I had a really good time! We were laughing a lot. They’re really good guys. It wasn’t a Christian Christmas song, but they’re both really good Christian guys. Dave Barnes does Christian music along with pop music. So it was really good preparation for Christmas in the middle of June when we were writing it. UCR: That seems like the difficult thing about writing and recording a Christmas album. You’re not recording it during the holiday season, so it might be challenging to get into that mindset. It’s great you have those good guys to work with. DA: I made sure to start in January actually because last time I did it all during the summer with my first Christmas album. So I wanted to get started on this when there was still snow on the ground. And it worked out. I had to cancel two writing sessions because there were ice storms, but it worked out because it was all wintery. And we worked on “Winter in the Air” when it was actually winter outside. UCR: You’re doing a bunch of shows here in Utah on this Christmas tour. What are some things Utah fans can expect to see in these shows? DA: I tried to make the show kind of a throwback with some of the classic 50s style songs. I wanted it to have that old feel. What I love is, Christmas songs allow me to delve into my soul and sing such meaningful songs and lyrics. Most of the Christmas songs out there are about Christ and his birth. So you get to feel this really beautiful emotion, and you can really let your voice and the instrumentation soar. So that allows for a heartfelt show mixed with a fun time. UCR: You have such a strong following here in Utah. This affords you the opportunity to play multiple shows here every year. That has to be awesome to know that when you book shows here, you’re going to get a good turnout. However, most tours stop through a city or stage just once on a tour. Do you feel pressure to mix it up each time you come? Is it possible to make it different each time? DA: I do sometimes get a little intimidated because I’m like “Well, they want me back, but I was just there!”. Usually, people can do the same show for two years. That’s the nice thing about this tour. It’s a show no one will have seen before. The thing is though, some people do like to come and hear the same songs. And I know for myself when I go see someone it’s nice to hear the songs that I like again and again. My new keyboardist, he was out with this duo named Aly and AJ and they have a song called “Potential Breakup Song”. He was telling me that they had this show where the crowd made them play it three times in a row because they loved the song so much that they just wanted to keep hearing it. And I guess that makes sense because sometimes I’ll be on a twenty to thirty-minute drive and I’ll have a song on repeat. I just want to keep hearing that song. I guess it’s the same with shows. And it’s a huge compliment if they want to keep hearing songs from me. UCR: You served a mission for The Church of Jesus Christ of Latter Day Saints. How did that experience help you when dealing with some of the challenges you’ve had to face in the music industry? DA: My mission gave me perspective on what really counts. There’s a lot of people telling you a lot of different things. What will make you happy, what will make you successful, and what will make you fulfilled? I’m glad I got to experience a lot of that as a teenager before I went on a mission. 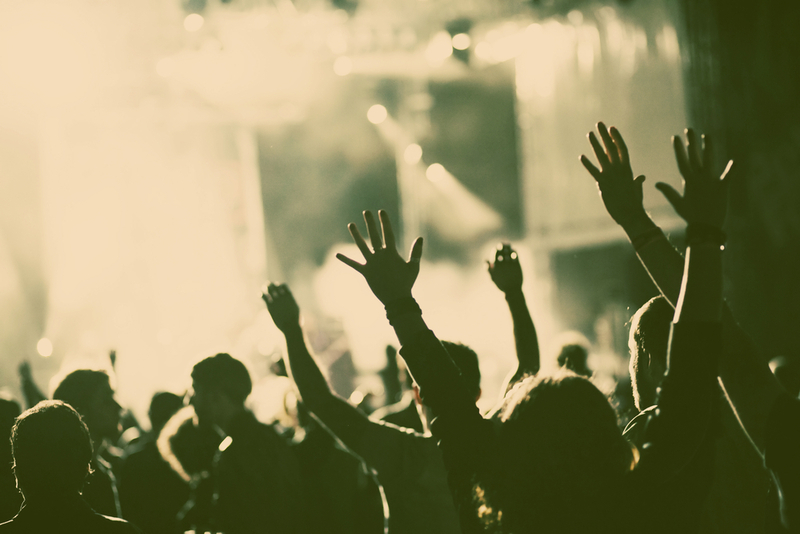 I got to see for myself, “Ok, I’m going to try music and see if it really makes me happy.” Then be able to take a break and go on a mission and serve, then compare the two of them then say, “What brought me the most joy?”. So now as I continue with my life, how am I going to live my life, because what brought me the most joy? And there are so many things as a missionary where I thought, “I don’t need to change this about me. I don’t need to go back because I’m not a missionary anymore.”. Being a missionary is basically being a disciple of Christ, and I made a commitment to do that anyway. So I don’t have to make any exceptions. I can still serve people, and help people feel light. Writing songs that help people feel light and motivated and to keep moving forward and closer to God has made me happy and has made a huge difference. There are exciting things about being a musician. But there are also things that are more important than having a following, and having sales, and having people recognizing your accomplishments all the time. UCR: OK, last question. As we discussed, you’ve played Utah quite a bit. You’ve probably played just about every venue here. DA: (Laughing) I haven’t played all the venues! UCR: Ok, most of the venues. So, eliminating any of the places you’re going to be playing on this tour, because obviously, you’re very excited to be playing them, what have been some of your favorite venues to play in Utah? DA: That’s hard! I mean, amphitheaters have been fun. I remember at Layton High School the power went out. My family is from there so that was kind of fun and different. We just made do with it. Abravanel Hall is where I I announced that I was going on my mission so that was a really good memory as well. The Maverik Center was the first place I performed after American Idol ended which was pretty cool. I don’t know, it’s really hard to pick. I have a lot of really good memories in Utah.